330 pages | 18 Color Illus. Phenomenology, Materiality, Cybernetics, Palimpsest, Cyborgs, Landscape Urbanism, Typology, Semiotics, Deconstruction - the minefield of theoretical ideas that students must navigate today can be utterly confusing, and how do these theories translate to the design studio? 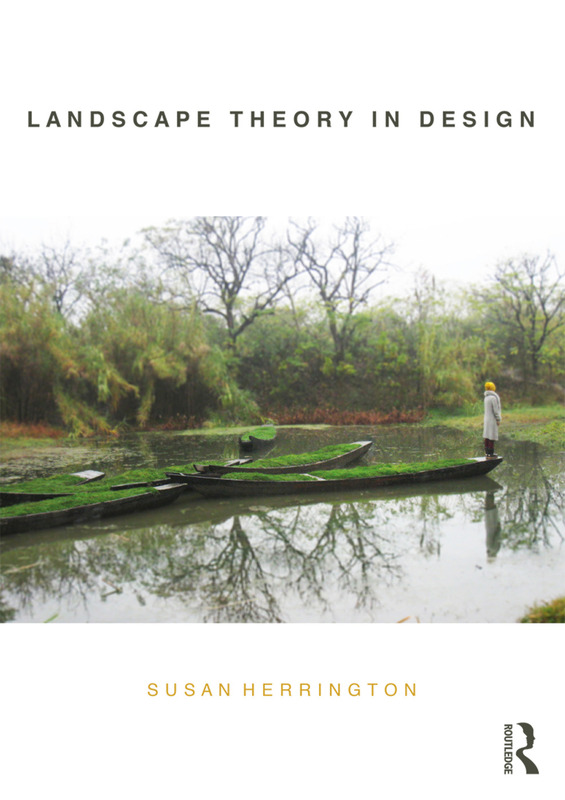 Landscape Theory in Design introduces theoretical ideas to students without the use of jargon or an assumption of extensive knowledge in other fields, and in doing so, links these ideas to the processes of design. In five thematic chapters Susan Herrington explains: the theoretic groundings of the theory of philosophy, why it matters to design, an example of the theory in a work of landscape architecture from the twentieth and twenty-first centuries, debates surrounding the theory (particularly as they elaborate modern and postmodern thought) and primary readings that can be read as companions to her text. An extensive glossary of theoretical terms also adds a vital contribution to students’ comprehension of theories relevant to the design of landscapes and gardens. Covering the design of over 40 landscape architects, architects, and designers in 111 distinct projects from 20 different countries, Landscape Theory in Design is essential reading for any student of the landscape. This book is a remarkable contribution to landscape architecture as a practice and as a discipline. Herrington brings clarity to what is often obtuse in design theory, while revealing the significance of tackling theory whether as a student, a teacher, or a practicing professional. Provocative images and questions framed by equally thoughtful prose comprises a rich body of landscape and design thinking and experience. This book will be a core resource in teaching and will more broadly increase the intellectual rigor of the discipline. What is Landscape Theory in Design? In her new book addressed to students, Susan Herrington shares her insights and experience as a professor of architecture and landscape architecture giving valuable answers. Timely, clear, and easily accessible with a wealth of case studies from around the world and numerous color illustrations, Herrington illuminates the theories that can help us analyze, understand, and interpret designed landscapes. From phenomenology to cybernetics, semiotics to deconstruction, readers will learn how these ideas and concepts relate to designed landscapes. A first of its kind, Landscape Theory in Design is also a manifesto for meaningful and critical landscape design and activism. Susan Herrington takes us on a courageous, critical excursion in this clearly written and richly illustrated book, providing an overview of ideas that guide thinking through the design process. In an explicit attempt to help students examine their design thinking and motivations, Herrington unravels the roots of landscape architectural theory from philosophy to sociology in order to identify sources of normative theory in landscape architecture. This is further demonstrated through a valuable analysis of projects completed by designers and artists. Herrington also incudes suggested questions and readings, a glossary, and a comprehensive bibliography. This will become a ‘must have’ text in schools of landscape architecture. Marcella Eaton, Associate Professor of Landscape Architecture, University of Manitoba. Susan Herrington is Professor in the School of Architecture and Landscape Architecture at the University of British Columbia, Vancouver, Canada, where she teaches in the landscape architecture and architecture programmes. She is author of On Landscapes (Routledge) and Cornelia Hahn Oberlander: Making the Modern Landscape. She is also a licensed landscape architect in the State of Connecticut.